Before I started blogging, although I had quite a few nail varnishes I rarely painted my nails. Fast forward to starting my blog and now I'm always painting my nails and have even started trying nail art. I do like to blog about any nail art I've attempted (although as a bit of a perfectionist I'm quite selective about what makes it onto my blog) but I don't like seeing pictures of nails surrounded by dry and/or scruffy skin and cuticles. 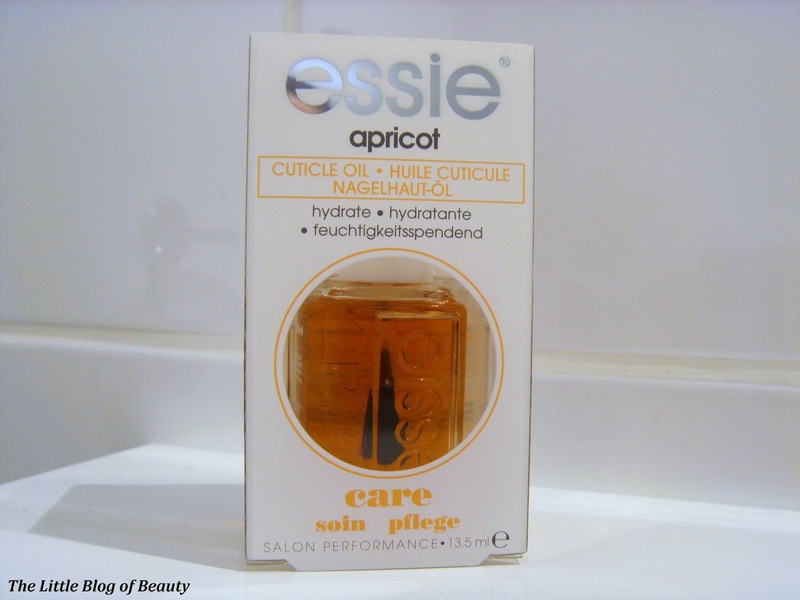 I didn't really know what to do with my cuticles (and still don't really, I'm just kind of guessing) so recently I decided to invest in Essie's Apricot oil to help me out. 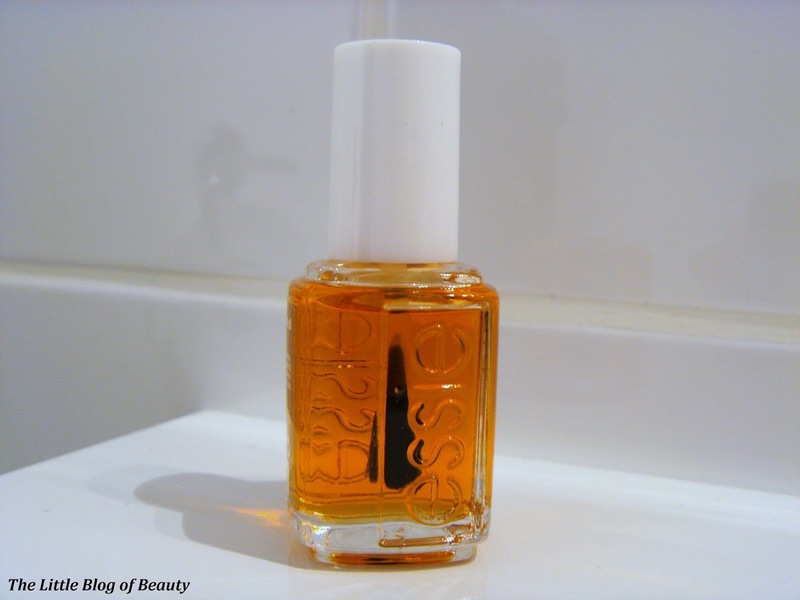 The packaging looks just like any Essie nail varnish but instead this contains an oil designed to be applied around the nail to the surrounding skin and cuticles. On the packaging it says to use this twice a day but as it is an oil I only do this at night. 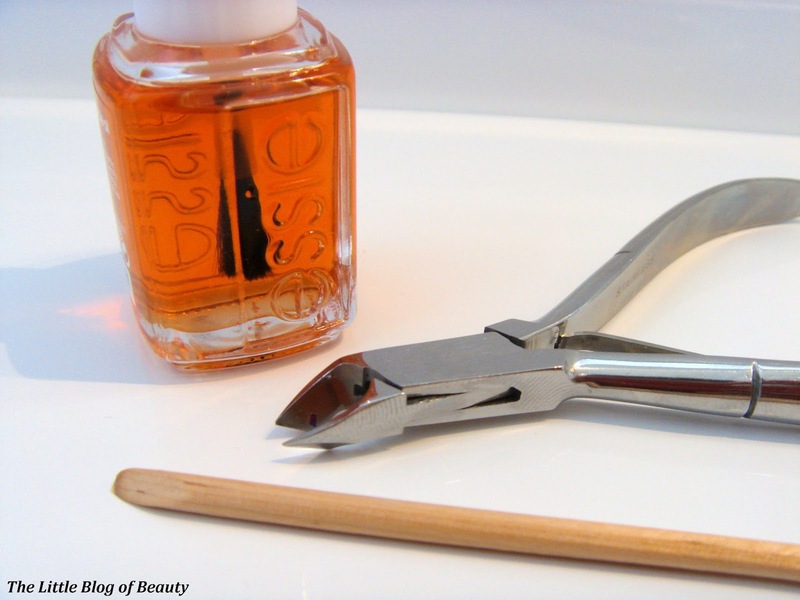 To begin with I use some slanted scissors to trim away any of those little flaps of skin you can sometimes get or any broken bits of nail between the fingernail and skin. 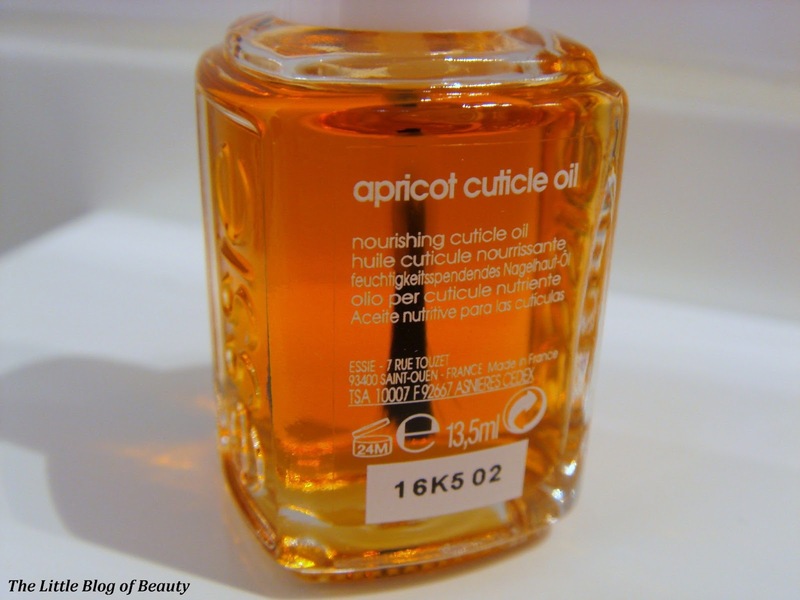 I then apply some Apricot oil around each nail covering the cuticle and surrounding skin and then usually leave it for a little while to soak in. I then massage round each nail before taking an orange stick and gently pushing back my cuticles if needed. Finally I wipe away any excess oil and then apply hand cream before I go to bed as usual. This has a lovely Apricot scent that is lightly fruity and not overpowering and it does a great job of keeping the skin around my nails and my cuticles soft, supple and moisturised. Ive heard so many great things about this oil. Im using the renunail one at the moment. I don't have a nail care routine but I should probably start one. I put so much effort into my skincare that I really ought to do the same for my nails. This product sounds lovely. Love this! I'm such a Beauty novice so it's great to get your opinion. I think I'll be investing!